This is the scenario: your investment in creative online marketing and commitment to quality customer service have paid off. A prospective customer, who knew little about your company just a few short weeks ago, has encountered your online marketing, visited your eCommerce pages, spent some time browsing, and loaded up their shopping cart with your excellent products. So, nothing can derail the conversion now… right? Well, almost. If your prospective customer is required to fill out an extensive registration form in order to complete the purchase, they might just abandon the idea altogether. In addition to bristling at the inconvenience of such forms, today’s shoppers are understandably cautious about sharing personal information online. Increase your conversion rates by making registration optional, keeping necessary forms simple, and only asking for the information you need to advance the transaction. Here are a few tips for how to get the information you need, without discouraging your customers. Many shoppers find registration to be redundant, because they already have to share data like their name, address, and contact information to complete a purchase online. Requiring users to re-enter that information, choose a password, confirm their account, remember their password, and log-in to make a purchase simply puts too many obstacles in front of conversion, as the usability experts at Nielsen Norman Group suggest. You don’t have to eliminate registration completely, but you’ll get much better results by making it optional. Optional registration is ideal because it satisfies a wide range of shoppers. Regular, repeat customers often find benefits in registering, while one-time shoppers will be more likely to complete their purchase if you make it optional. If you choose to offer optional registration, be sure to highlight the benefits it offers from the customers’ perspective. Do registered customers get special deals or exclusive content? If so, let them know! If you’re going to include a sign-up option for your email list, make sure customers know that it’s optional. Unwelcome email is one of the biggest reasons shoppers dislike registering for sites, and sending unwanted email is a sure way to short-circuit your online marketing. Remember that Canada’s anti-spam laws are now very strong. In order to send commercial messages, you must obtain consent, provide information on your identification, and offer a clear way to unsubscribe. Making registration optional is just one of many ways that you can improve the shopping experience for your customers. Every small detail that you “get right” with eCommerce removes one more obstacle on the path from interested shopper to converted sale. In general, simple is almost always better when setting up your eCommerce experience. Keep your checkout forms simple, and make sure all input fields are clearly labeled so that customers never have to guess what they’re supposed to enter. Be clear, accurate, and honest in your product descriptions. You want customers to have the confidence that the item they order will be exactly as advertised. You know your checkout process is secure, but your customer has no way to tell for sure. Use visual cues to reinforce the security of your checkout process in the eyes of customers. Use descriptive error messages when a customer misses information, or fills out a form incorrectly. Direct them to the items they need to fix, rather than simply telling them that something in the form needs correction. Feature your customer service options prominently, so shoppers know where to turn for help. If you offer live chat, say so. Simply having a chat box pop up only serves to confuse most shoppers. 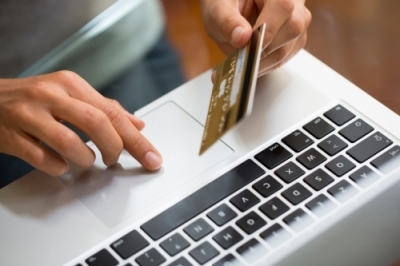 When optimizing your eCommerce experience, it’s vital to put yourself in the customer’s shoes. If certain tactics or design elements make you less likely to buy a product on another site, then you probably shouldn’t use them on your own site. Too often, in-the-bag sales are derailed at the last minute by tedious details, with a shopping cart full of almost-purchased products left behind. Say goodbye to phantom shopping carts by updating your eCommerce checkout process for optimal user experience. Looking for more ways to get the most out of your eCommerce and online marketing? We’ve got you covered. Start by learning how the right marketing strategy can deliver more leads, for less cost.